I just wanted to announce to everyone here my happy news. My wife and I just this past week has giving birth to our first child. I read a lot of about the birthing process and let me tell you that every birth and every child is different and all the "rules" go out the door when it's your own. When my wife first started noticing contractions they were 60 seconds long and 3-5 minutes apart right way. Not your typical gradual build up. At the beginning I said that can't be possible. Should be 30 minutes apart for at least a few hours and gradually build up more frequently. These contractions lasted for 24 hours and 2 hours after the pushing phase of labour, finally our son arrived into the world to meet us. I am so proud of my wife for carrying him for nine months and having a 24 hour delivery. She is the most amazing person I know. It's been pretty hectic since the birth with feeding him every 2 hours around the clock but I did manage to have a tiny window of time to take a few photos of him, upload them here, and write this short blog. So enjoy. PS: I want to apologize in advance if I don't respond to the comments of this blog because "Baby is boss right now" if you know what I mean. Also, I've made a collection of him and other cute 0-3 month old babies. 0 to 3 months of age collection .. Congratulations!!! He is precious and your photographs are wonderful, good luck with both. Congratulations! Thank for sharing, It has brought back some very happy memories. Welcome to parenthood and sleepness nights. Congrats! I hoping to finally have some time to take more photos of him this weekend. Any suggestions on type of shots? Thanks in advance. Thanks everyone for the well wishes. Just went to the pediatrician yesterday for the 1 month exam. Can't believe it's a month already. He is doing well. Gaining weight and size. 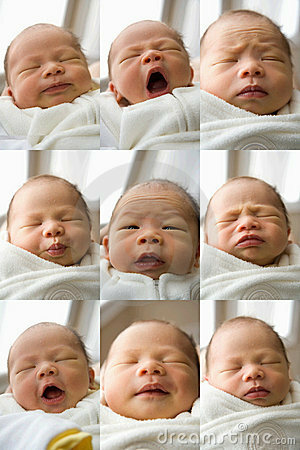 He is already showing a lot of different facial expressions. Congratulations, long life & health. Another new photo of our newborn being accepted I wanted to share with everyone. Congratulations and best wishes ! Congratulations!Wish you have a happy family. Thanks again everyone. Still up every 2 hours to help my wife with the feedings. Severely lack of sleep but loving every minute of it. Congrats!!! Your newborn is a beauty!!!! I wish her all the health and joy in life!